Minister of Works and Housing under the regime of former Nigerian President, Olusegun Obasanjo. He was born in Uzenema-Arue in Uromi, Edo State of Nigeria. Tony Anenih joined the Nigeria police force in Benin City in the year 1951. After obtaining his secondary school qualifications, he attended the police college in Ikeja, and was among the lucky individuals selected for further training in the Bramshill Police College, Basingstoke, England in 1966 and the International Police Academy, Washington DC in 1970. He was the police orderly to the first indigenous Governor General of Nigeria, Dr. Nnamdi Azikiwe. He also worked as an instructor in various Nigeria’s police colleges, and in the year 1975, he was assigned to the Administrative Staff College (ASCON), Lagos. Tony Anenih retired from the Nigeria Police after he became a Commissioner of police. After his retirement from police, Anenih joined politics, and became the State Chairman of the National Party of Nigeria (NPN) between 1981 and 1983. It was under his chairmanship that Dr. Samuel Ogbemudia was elected as a civilian Governor of Bendel State though the administration was cut short by the military takeover of December 1983 by Muhammadu Buhari. After the formation of the the new political party, the Social Democratic Party, Tony Anenih became its National Chairman from 1992 to 1993. It was under his chairmanship that Chief M. K. O. Abiola was elected as President of the Federal Republic of Nigeria. When in the year 1994, a constitutional conference was constituted to discuss a forward for Nigeria, Tony Anenih was appointed a member. 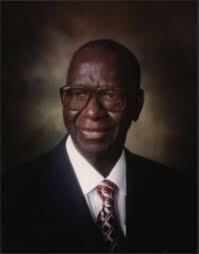 Tony Anenih was a member of the PDM until early April 2002. In early April 2002, Tony Anenih joined the People's Democratic Party (PDP). He was said to have been the brain behind the April 26, 2002 declaration of President Obasanjo at the International Conference center Abuja. He was deputy national coordinator of Olusegun Obasanjo's campaign Organisation in the years 1999 and 2003 national elections. Tony Anenih is married to Mrs. Josephine Anenih. Mrs., Josephine Anenih is a lawyer, and the former chairperson of the Federation of Women Lawyers from the year 1994 to the year 2000. Mrs. Josephine Anenih was also the first National Woman Leader of the People's Democratic Party (PDP) from the year 1999 to the year 2005. On April 6, 2010 Mrs Josephine Anenih was appointed minister of Women Affairs at the time the then Acting President GoodluckJonathan announced his new cabinet.